With requesters also not owning the requested species anymore. ZYDP zappers donate the use of their lab rays to help zap your dream pets! Once in awhile, we get interesting color zaps that nobody is wishing for. Sometimes these pets will enter the ZYDP Adoption Agency, but other times we'll release these pets into the pound or just keep zapping. As a result, we often end up with spare paint brush clothing in our closets. This page was started so that we could clean out our closets a bit and at the same time provide paint brush clothing for people who have been seeking it! Everyone can get and request paint brush clothes for their unclothed pets. Additionally, ONLY ZYDP Zappers and/or guild members can add their spare clothes to this page. Before proceeding, please be sure to read the FAQ! If you're looking for specific paint brush clothes, check the Available Clothing. If you can't find what you need, you can post a request for clothing. If you have extra clothes in your closet, be sure to check the Current Requests before listing any clothing! If you have any questions, feel free to contact Ducky (weirdobluedevil). Please notify me if you see any disabled accounts or users who haven't logged on in 40+ days! Do I need to be a part of ZYDP to use this page? Although this page is a part of the Zapping Your Dream Pets guild, anyone can request or gift clothing! However, you must be a ZYDP or zapper to list your available paint brush clothing. What do I need to receive Paint Brush Clothing? You must have a pet the SAME COLOR as the clothes you are seeking (otherwise the clothing will not transfer). You MUST have an IN and an OUT transfer for the month (any pet that's pounded loses its clothing). How do I get the clothing if I own the unclothed pet? If you meet all the requirements, go to the listing of Available Clothing and neomail the clothing owner directly to request clothing and work out transfers. Paint brush clothes cannot be removed from your closet like regular clothes. Therefore, to receive the clothing, you would need to transfer your unclothed pet to the clothing owner. When they transfer your pet back, the PB clothing will automatically be sent with your pet. NOTE: Pets cannot be transferred more than once a day, so your pet would need to stay on the donor's account until the next day. Clothing listers may need time to make space on their accounts or may not have available transfers at the time. As such, please be patient and respectful as ZYDP zappers are NOT obligated to gift their clothing! How do I get paint brush clothing if I don't own a matching unclothed pet? Even if you do not own the unclothed pet, you can list a request for specific clothing. However, this means that the person with extra clothes must also own the corresponding pet. This usually occurs when a Zapper zaps a clothed pet that doesn't currently have any wishers. You would be sent the painted pet along with their clothing. Afterwards, you have several options: you can keep the pet or return the pet to the owner. Pound transfer the pet back. Morph the pet and transfer them back. Paint the pet and transfer them back. Of course, this relies on a great deal of trust between the donor/recipient. We recommend that the donor provides a cheap morphing potion or paint brush as to avoid any implications that the requester is "paying" for any clothing. All arrangements should be made beforehand between the clothing donor and recipient! Please exercise caution when sending your pets. How do I request paint brush clothing? Fill out the form on the request page and neomail it to Ducky. Can I request part of a paint brush clothing set? E.g. just the hat, shirt, etc. Unfortunately, you cannot. When pets are transferred, they are automatically sent with ALL matching paint brush items in their current closet. We list all colors and species, whether they are zappable or not, EXCEPT for basic colors (Red, Yellow, Green, Blue) and Magma. This also includes basic Aisha collars, basic Elephante Hats, and basic Ixi collars. Why isn't Basic Clothing listed? We do not list the clothing of basic pets because they are extremely common. If you are seeking basic clothes and having trouble finding them, you can post on our current advertising board on the PC or the guild message board. If you are not a member of the guild, whoever sees your question on the PC can ask on the guild board for you. To get to our advertising board, visit our Guild Webbie or the Guild Front. Why isn't Magma Clothing listed? 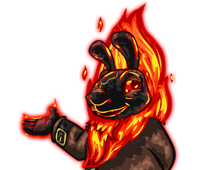 We do not list magma clothing because unclothed magma pets do not exist - they turn red when pounded. However, you are still welcome to submit a request for magma clothing! Are available clothing and/or requests posted in any particular order? For both categories, newer entries are added to the bottom of the list. Is there a limit to how many requests or clothes I can submit? Nope! However, please login at least once every 40 days or your listing may be removed from the page. This helps keep the page up-to-date and healthy. Thanks for your understanding! You must be a ZYDP guild member and/or zapper to list your PB clothing. Whenever you gift a set of clothing you have listed on this page, please update us! NOTE! People cannot contact you about the clothing if your neomails are set to Neofriends Only! Do you own the corresponding pet" means you own the species/colour that you are requesting. Example: You have unclothed Desert Xweetok and request Desert Xweetok clothing. If you have Pastel Xweetok, that is NOT corresponding pet since Pastel cannot transfer Desert clothing. You can also try checking back later or taking a look at our Affiliates list. Neomail Ducky if you would like to be listed. Buttons link to their creators. Code will link back to this page. More ZYDP buttons can be found here. Layout coded by Penny, edited by Joshy. Additional coding from Count and Zero. are trademarks of Neopets, Inc., © 1999-2015.